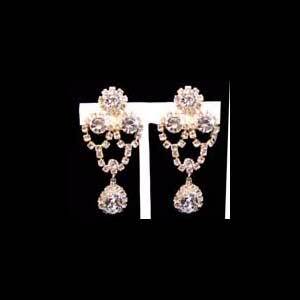 Polka Earrings. 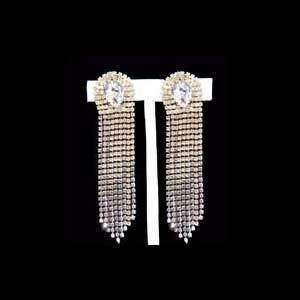 These earrings arer made from diamante chain set with 2mm crystal stones. 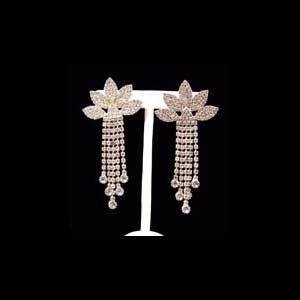 The top of the earring is is made in the form of five petal from which there is a graduated drop graduating from the centre. 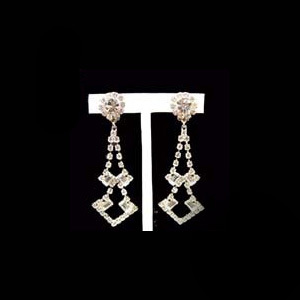 At the end of each drop is a 6mm crystal stone set into a tiffany setting. 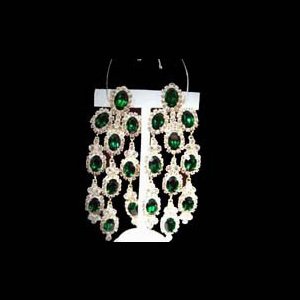 The earrings are fitted with a clip fastening for attaching onto the ear. 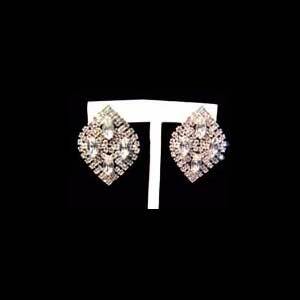 Drop of earring is 9cm. 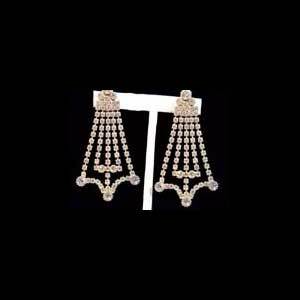 Width of earring is 4cm.